The Guardian™ II automatically cleans and sanitizes your system after each milking shift, offering the cleaning and sanitation features you deserve and the safety features you expect. Designed as a clean-in-place wash system, the Guardian™ II combines the actions of an efficient wash controller with the security of an internal monitoring system. This ultimate economy pipeline washer is designed for farms requiring high quality, low cost wash control. Detergent and acid are manually loaded in the 2 Jar dispensers. The C125 is designed to handle even large dairies. 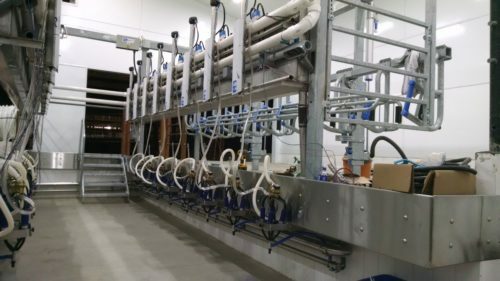 The unit is electronically controlled, which provides a cleaning system that can be customized to the exact requirements of your milking system.